High Pointe Hospice House provides palliative care at end of life. Hospice House has 21 beds and as many of you might know, we have provided quilts for them in the past. At this time, most of those quilts are gone or too worn to use. Families sometimes take the quilts with them because of sentimental reasons. I would like to collect at least 21 quilts to cover each bed. They provide love and warmth to the patients who spend the last days of their life there in a loving, nurturing environment. A bright, beautiful quilt brightens up the patient and the families as well. Many of our members’ quilts hang on the walls there too. I volunteer there on weekends as many of you know and I can’t tell you how many comments and compliments I have received on the quilts and how much they cheered up a patient or a family member. 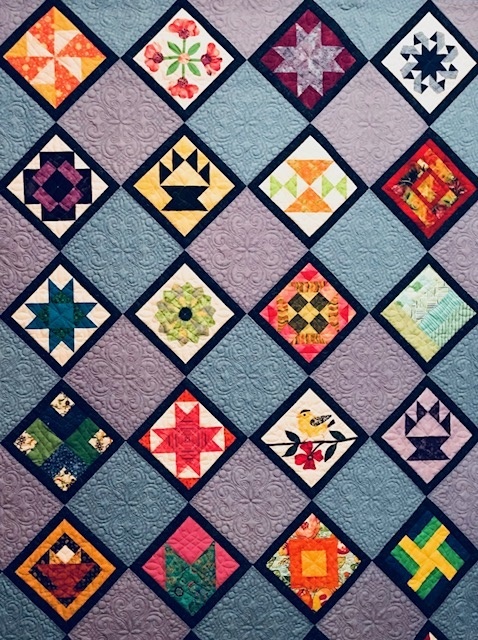 A Hospice staff member will be at our January meeting also to share the importance of our quilts in their work. Lap size quilts are the best size. Our quilts are truly providing comfort and it’s more powerful than you may ever know!!!! I might mention to all you knitters that blankets and afghans are also welcome. I will want to collect these for display at our September Quilt Show and then we will distribute them in October. Thank you for all that you do!!!!!!!!!!!!!!!!!! !